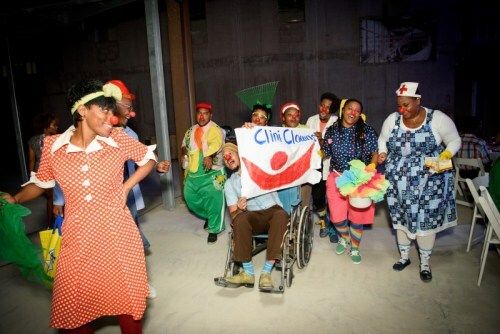 WILLEMSTAD - The annual fundraising dinner of the CliniClowns Curaçao foundation took place in a very special location on Saturday: the New Hospital Otrabanda (HNO) which is under construction. The evening was a sign of the new hospital and the nearly 250 guests enjoyed animated performances of the clowns who work for the foundation which next year will celebrate its 10th anniversary. The CliniClowns in Curacao, with their funny 'nose', give not only sick children a smile on their faces but also to (demented) elderly in their homes.